This dress is being made and shipped all the way to Boston for a gala in New York! 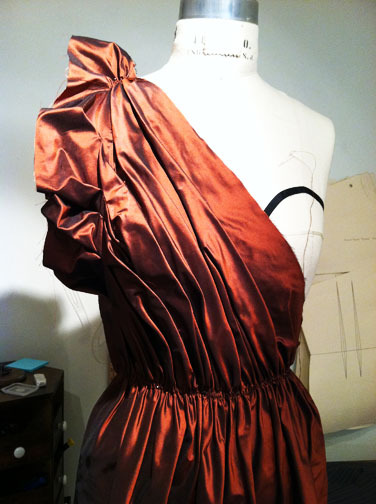 Sandy loved the complex rust tones in the silk taffeta, so we are making it for her that way! We’re draping the front on the bias to allow the fabric to fold and crease easily, then we hand tack the folds in strategic places to keep it’s unique shape.